Joy owns a wonderful 1967 Beetle Sedan. When Joy was searching for a ’67 Beetle in early 2014, she sent photographs of several Bugs to us. We would critique the cars and Joy would move on to the next car. The search continued until September, 2014. 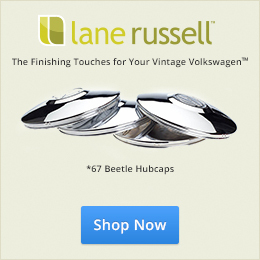 She almost bought one Beetle—until the owner finally confessed to some major difficulties with the vehicle (you couldn’t drive the car for more than 15 minutes at a time or the engine would shut off!). 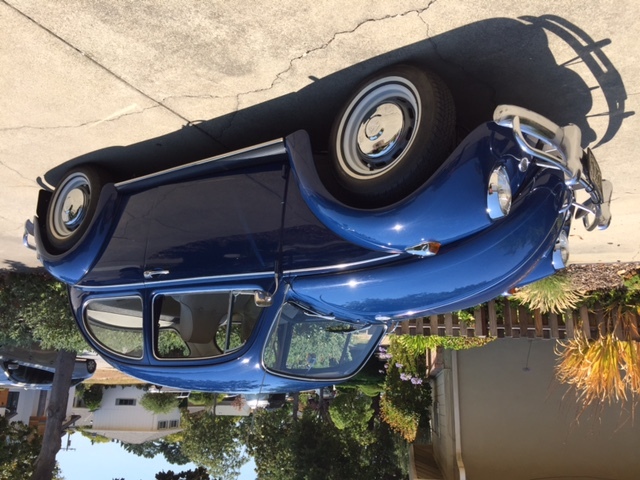 Finally, just when it seemed that all options had been exhausted, Joy decided that she should look at the L 633 Dark Blue Bug in St. Monica, California. Joy’s least favorite color, she told us. But the car had good provenance. It was not rusted. It was not wrecked. And it had had great care from the three previous owners. The Bug had passable paint but needed some renewal in order to be driven safely. The Seller allowed Joy to take the car to a shop for evaluation. The car passed scrutiny and Joy became the new owner. Since purchasing “Monica”—as she now is named—Joy has had the car repainted, staying with the factory color. The Birth Certificate certifies that Monica was built, February 16 of 1967 and left the factory March 28th destined for the USA. In addition, the Birth Certificate verifies that Monica has her original factory engine! With the car now having been renewed mechanically and cosmetically, it was time to get Monica into a Volkswagen Show. 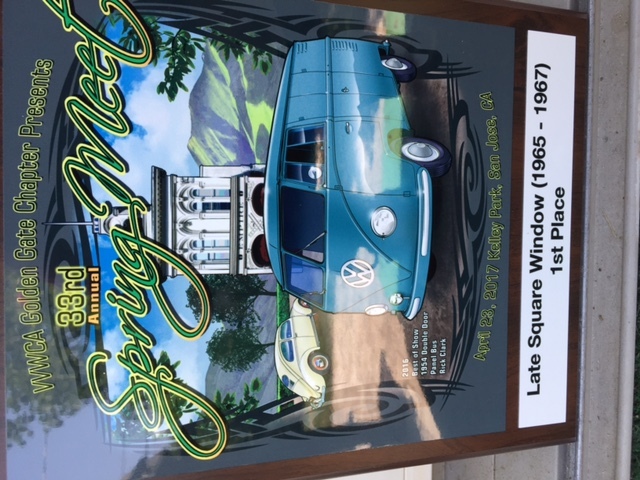 Monica took First Place in the Kelly Park Vintage VW Car Show in April of 2017. Joy and a good friend, who owns a later model SuperBeetle Convertible, are ready to participate for a day’s drive in July’s Treffen Border-to-Border Cruise. Joy took Monica on a test run this past week to see how she would do on the highways. Monica easily did 65 mph “with horses to spare,” Joy reported. You can listen to Monica’s “heart beat” in the video below. Previous: Previous post: Fuel Pump To Carburetor — Am I Safe? Very nice, good luck on the cruise Joy. By the way, VW Blue is the best ’67 color, lol. I was at this event selling at the swap meet. Congratulations to Joy. Did some of the 67’s come with high back seats? Nice car Joy. I bet those seats are much more comfortable than our 67 seats. Good luck, border to border. Let us know how you make out. Hi Frank, I do have the original 67 seats in the garage (actually in the house waiting to go into the garage). My husband insisted I put high back seats in for safety. I told him, “Why, we probably will be killed anyway in a crash even with the high back seats!”. I put the original 67 seats in for the Kelly Park Show. When we were in southern Cal a year or so ago we purchased two 71 high back seats for $50. They were in sorry shape. I did some research on line and on YouTube and ended up purchasing new seat pads and seat covers that are on the seats today. Just like the running board project I did on Monica, the seat recovery was not hard, just time consuming. I’m still embarrassed to drive her with the high back seats but my husband said he wouldn’t take a ride without them. I don’t really think the 71 seats are any more comfortable. I would prefer to have the original seats in……….but what can you do? Joy congratulations! I know if Eric and Jay approved of “Monica” she’s a keeper! This car is BEAUTIFUL in blue. Wow ! It would be one of my personal fist pics, to find. As there not hard to swap when needed. Joy, you have a very great looking 67 and that blue looks super. If I can offer one thing you might want to remove the fuel filter from the engine compartment above the distributor. There are a couple of options the one I like is relocating it by the transmission. Every years there are posting with videos of bugs and buses going up in flames with engine fires. Congratulations on a super looking 67, and welcome.